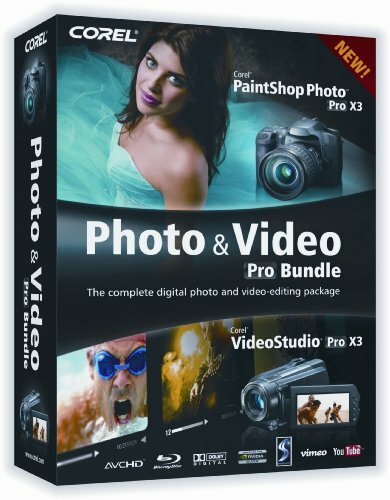 Corel Photo & Video Pro Bundle – two great products at one great price! 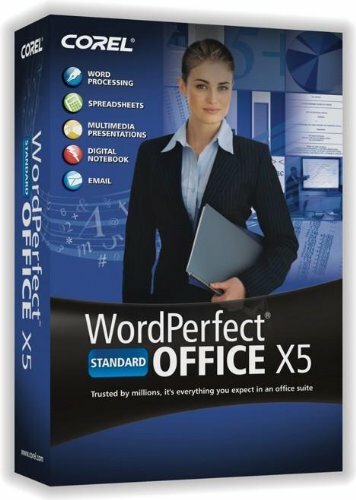 Get photo editing software and video editing software in one package. Organize, edit and share photos and videos. 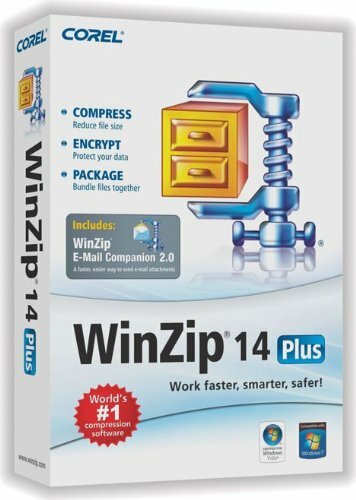 Load, organize and edit photos and standard or HD videos. 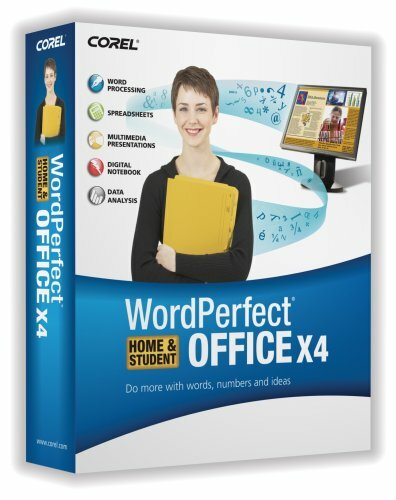 Get quick results with Express editing or go deep with advanced tools. Enhance photos and videos with professional-quality effects. 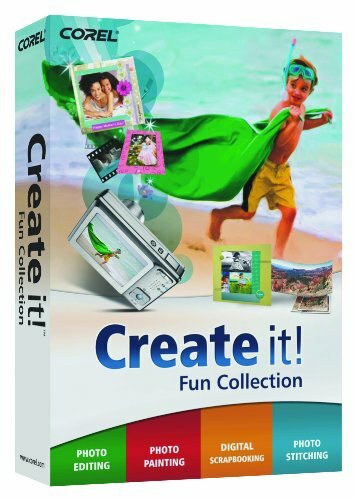 Create HD slideshows, photo books, cards, movies and more. Share everywhere—in print, on disc, on Flickr, Facebook, YouTube™ and more. Get two great products at one great price! 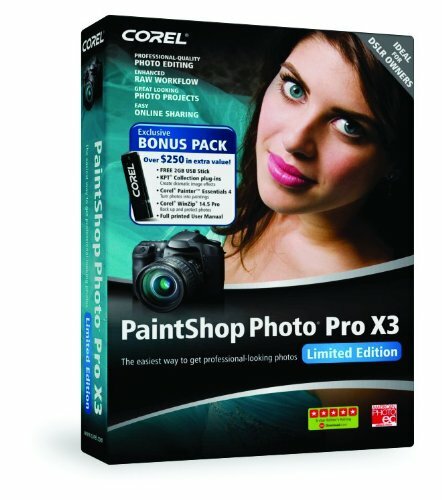 The Corel Photo & Video Pro X3 Bundle includes everything you need to create professional-quality photos and videos. 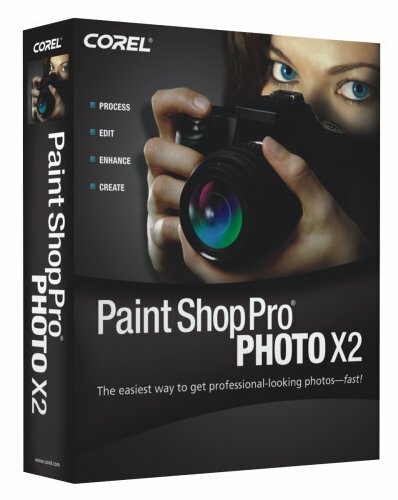 Along with PaintShop Photo™ Pro X3 and VideoStudio Pro X3, you get Painter Photo Essentials 4, NewBlueFX filters, KPT plug-in filters, royalty-free music from SmartSound and more than $500 worth of professional templates from RevoStock. 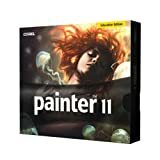 Amazon.comCorel Painter Essentials 4 is the simple-to-use home art studio that makes it easy for you to draw, paint or turn your photos into paintings. Two new workspaces put the tools you need at your fingertips, whether you're turning a photo into a painting, or drawing and painting on a blank canvas. Plus, Corel Painter Essentials 4 includes an incredible selection of brushes, paints, pens and paper textures for adding unique touches to photos or creating cards, scrapbooks and other fun projects. 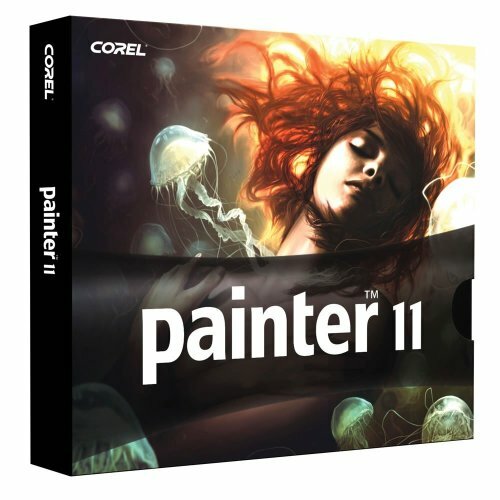 Based on the world's most powerful painting and illustration software, Corel Painter, it's the ideal way to get started with digital art! 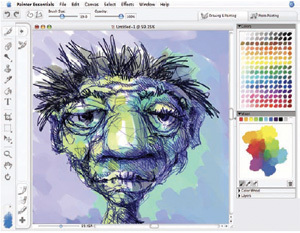 For Corel Painter Essentials 4, the application workspace has been completely redesigned to improve color selection and the discovery of brushes, media, and paper. The new workspace is also easier for users to navigate, especially if they work with a pen tablet. 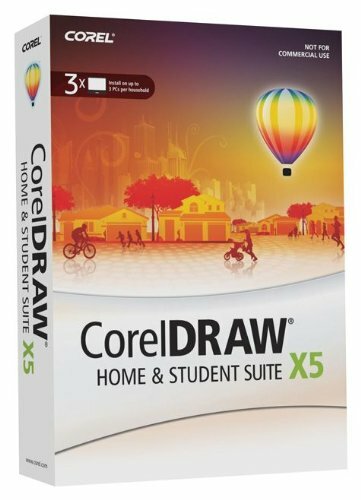 Corel Painter Essentials 4 is the simple-to-use home art studio that makes it easy for you to draw, paint or turn your photos into paintings. With Corel Painter Essentials 4, it's now even easier for users to turn photos into expressive, natural, hand-painted portraits. 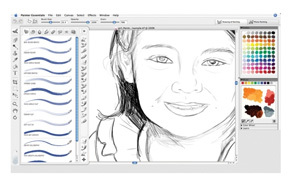 Corel worked closely with its customers to find out how they were using Painter Essentials. The result is a redesigned and simplified environment with two distinct workspaces: Drawing & Painting and Photo Painting. 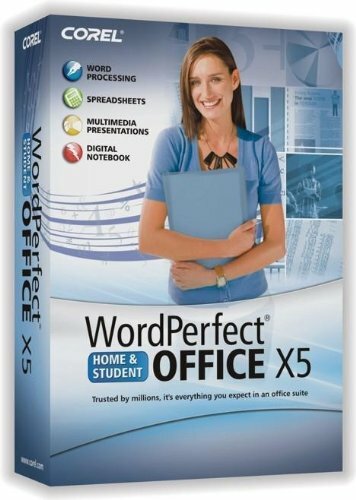 Each workspace is easily accessible from tabs within the application, and each presents users with the tools specifically needed for the task they've selected. In the Drawing & Painting workspace, users can access relevant tools, such as the Colors, Color Wheel, and Layers palettes. 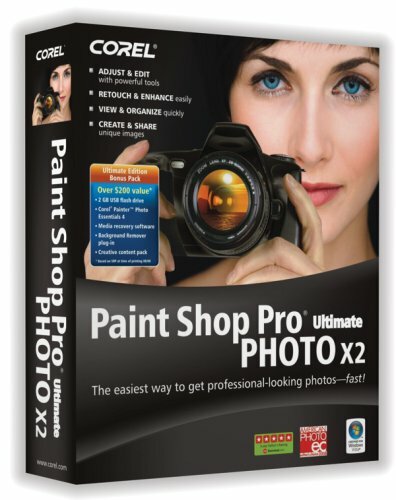 In the Photo Painting workspace, users are provided with the Source Image, Auto-Painting, and Restore Detail palettes. Both workspaces offer a reconfigured toolbox that makes it easier to identify and select brushes, media, and paper. With Corel Painter Essentials 4, a new Brush Drawer has been added to the toolbox, making brush identification and selection easier than ever before. The Brush Drawer opens with the click of a flyout button. Redesigned icons for each brush category are displayed on tabs along the top of the Brush Drawer. The list of available brushes changes depending on the selected brush category. When closed, the Brush Drawer displays a column from which users can quickly access their most recently used brushes. For convenience, users can also easily add their favorite brushes to the Brush Drawer column. In addition to its traditional Color Wheel, Corel Painter Essentials 4 now provides the Mixer palette. By simulating the traditional experience of mixing colors on an artist's paint palette, the Mixer palette makes it easier for users to get the precise color they want. Users can apply two or more colors to the Mixer pad, and then blend the colors together until they are satisfied with the result. Corel Painter Essentials 4 provides the new Colors palette, which lets users choose a color with just one click. With its new workspaces, Corel Painter Essentials 4 makes it easier for pen tablet users to navigate. Many of the application's buttons and sliders are larger and easier to grab. In addition, the controls for frequent actions, such as Undo and Redo, have been better exposed so that users can access them without using a keyboard. Accessible from the File menu, the new Online Print Services option lets users get professional prints on canvas, watercolor paper, or other fine art materials. In the Drawing & Painting workspace, users can access relevant tools, such as the Colors, Color Wheel, and Layers palettes. 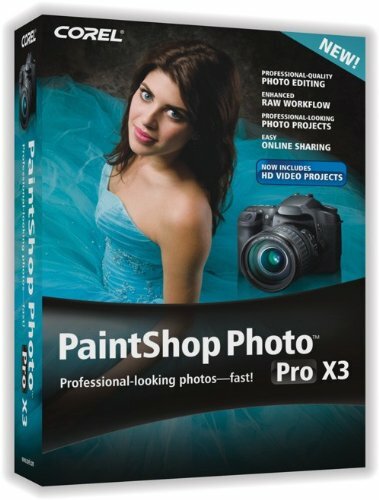 In the Photo Painting workspace, users are provided with the Source Image, Auto-Painting, and Restore Detail palettes. 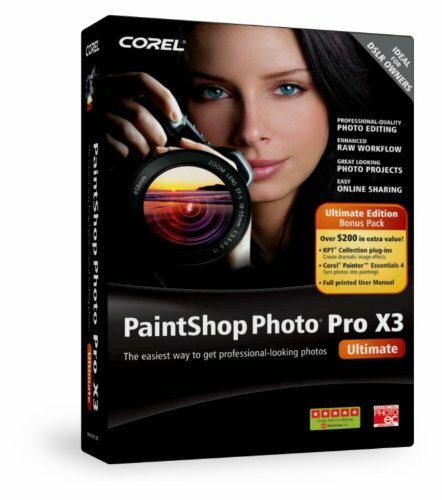 The Corel Painter Essentials 4 Guidebook provides step-by-step tutorials that help users discover the application while completing fun projects. 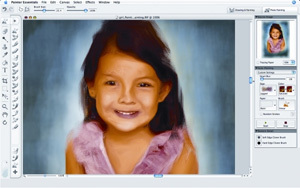 The Photo Painting System has been redesigned and enhanced, reducing the complexity of turning a photo into a painting. With Corel Painter Essentials 4, the streamlined Photo Painting System is now available as a separate workspace. All brushes within the Photo Painting workspace act as cloners and take their color from the source image. The new Source Image palette makes it simpler to choose a clone source, and includes controls to adjust the opacity of tracing paper and to toggle tracing paper on and off. In addition, the source image is now saved with the painting, meaning that users do not have to keep a separate photo open. The enhanced Auto-Painting palette now includes Smart Stroke technology, which provides more intelligent brush behavior during the auto-painting process. Built into the Auto-Painting palette, the new Smart Stroke technology paints with brushstrokes that follow the forms of the original photo. Smart Stroke technology dynamically changes brush size, stroke length, and pressure, based on the detail and focal areas of the original photo, which helps users quickly achieve impressive paintings or sketches. 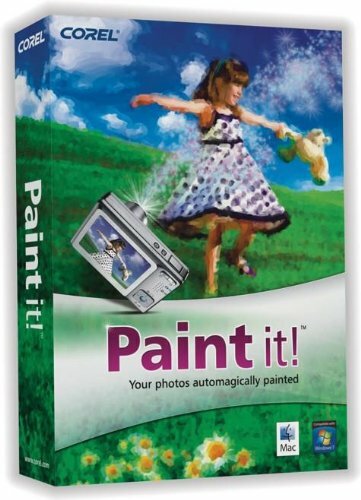 Previously, if users wanted to continue working on a Photo Painting project, they needed to remember which image file had been used as the source. With Corel Painter Essentials 4, the source image is now saved with the RIFF file, making it easier to return to a project later. Painter has always led the way with its unrivaled selection of Natural-Media materials. With Corel Painter Essentials 4, users get access to an even greater selection of Natural-Media brushes, pens, and paper textures. First introduced by Corel Painter X, the new RealBristle Painting System heightens the responsiveness of the brush for the artist and represents a major milestone for digital painting. With Corel Painter Essentials 4, users get access to several RealBristle brushes in a variety of brush categories. Brushes that use RealBristle technology are identified by the prefix "Real" in their name. By authentically reproducing the sensation of the interaction between the paint, canvas, and brush, RealBristle brushes take realism to a whole new level. The new Charcoal brushes range from pencils to hard or soft charcoal sticks. As with other dry media brushes, the opacity is linked to pen pressure. The new Sargent brush in Corel Painter Essentials 4 helps users paint in the style of master artist John Singer Sargent. Corel Painter Essentials 4 has added Sumi-e brushes, which let you create flowing sumi-e-style brushstrokes. Corel Painter Essentials 4 includes a greater selection of paper textures that accurately reproduce the feel of using traditional art materials. 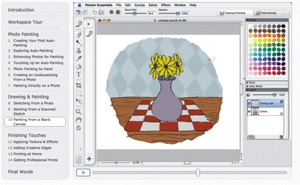 Users can control the texture of the canvas to achieve the results expected from using traditional media on a given surface--for example, pencil on watercolor paper, felt pens on cotton paper, or chalk on the sidewalk. 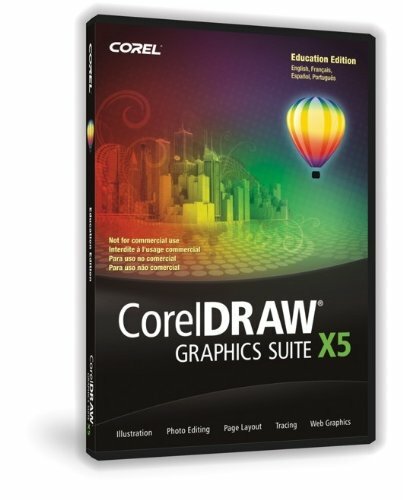 Getting started with Corel Painter Essentials and digital art has never been simpler. Users can take advantage of inspiring, tutorial-based videos and a companion guidebook, in addition to the application's Help system. The Corel Painter Essentials 4 Guidebook provides step-by-step tutorials that help users discover the application while completing fun projects. With projects ranging from beginner to advanced levels, the guidebook introduces various Corel Painter Essentials media and provides tips that introduce some of the elements and principles of art. 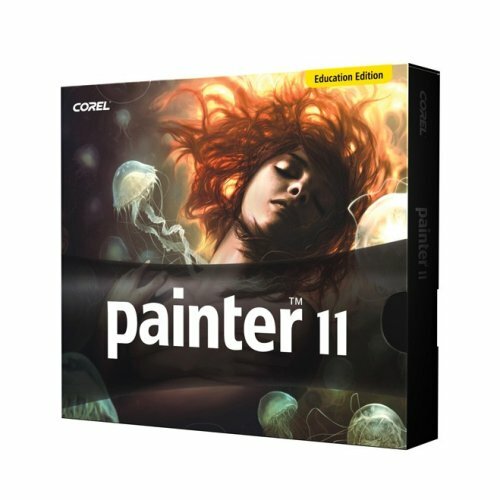 Corel Painter Essentials 4 includes video tutorials that are accessible from within the application. Users benefit by learning from the experience of Painter Master and Ambassador John Derry. The video tutorials guide users through a variety of projects, including those in the guidebook. Brushes--The Heart and Soul of Corel Painter Essentials. 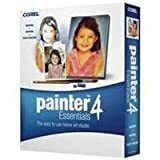 Users who work with the latest operating system from Apple or Microsoft can rely on the compatibility features of Corel Painter Essentials 4. The application is designed to work with the industry-standard software and hardware that digital artists and hobbyists use every day. 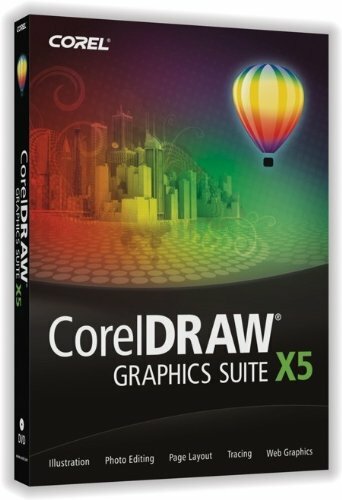 While still providing a great experience with PowerPC processors, Corel Painter Essentials 4 is optimized for use with Intel processors. Corel Painter Essentials 4 Works with Windows Vista. Corel Painter Essentials 4 supports the entire Wacom product line, including the Graphire pen tablets, the Cintiq 21 UX interactive pen display, the Intuos3 pen tablet, and the Wacom 6D Art Pen. Brushes are the heart and soul of Corel Painter Essentials. The following sections explain how brushes and media are organized within the application. Thick Paint brushes let users simulate painting with thick, sticky paints, such as acrylics and oils. All Thick Paint brushes cover underlying brushstrokes. Many of the brushes can produce multicolored strokes, and others interact with underlying pixels to create realistic effects. The Thick Paint category includes Acrylics, Artists' Oils, Impasto, Oils, Palette Knives, and RealBristle brushes. Thin Paint brushes let users simulate the application of thin paint or ink, such as thin acrylic, oil paint, gouache, or Sumi-e ink. All Thin Paint brushes cover underlying brushstrokes. The Thin Paint category includes Acrylics, Gouache, Oils, RealBristle, and Sumi-e brushes. 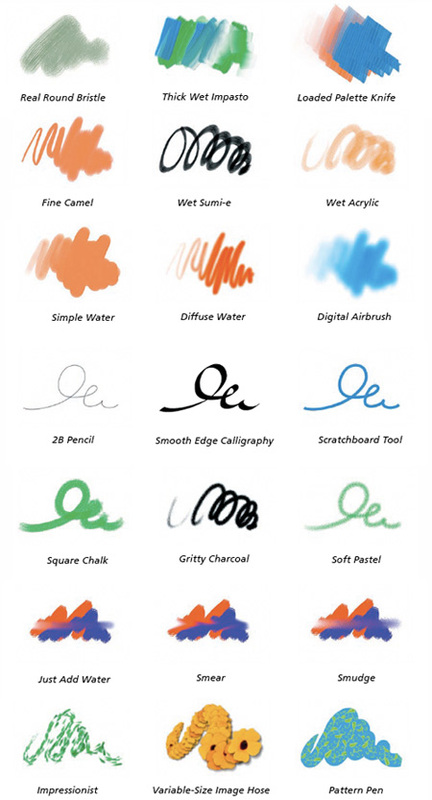 There are two classes of Water brushes: watercolor brushes and airbrushes. Users must dry both airbrush and watercolor brushstrokes before applying effects. Watercolor brushes produce watercolor effects that react with the canvas texture. With the exception of the Wet Eraser, the width of watercolor brushstrokes is affected by stylus pressure. In previous versions of Corel Painter Essentials, the Watercolor brushes were referred to as Digital Watercolor. Airbrushes apply fine sprays of color. The Digital Airbrush carefully mirrors the feel of a real airbrush. The Wacom airbrush stylus is fully compatible with the airbrushes in Corel Painter Essentials. Brushes in the Pencils & Pens category are marking tools that simulate pencils, ballpoint pens, markers, and calligraphy pens. Just like their traditional counterparts, the pencils in the Pencils & Pens category interact with canvas texture and are great for a variety of artwork--from rough sketches to fine line drawings. The pencils and the Felt Art Marker build to black and link opacity to stylus pressure. Dragging quickly with a Pencils brush produces a thinner line, while dragging slowly leaves a thicker line. Pens, such as the Round Tip Pen and Scratchboard Tool, create realistic effects without the drawbacks of traditional pens, which can clog, spatter, or run dry. Dry Media brushes range from charcoal and chalk to pastels and crayons. The opacity of Dry Media brushstrokes is linked to stylus pressure and all strokes interact with the paper texture. These brushes range from hard styles that reveal the paper grain to soft styles that glide on to completely cover existing brushstrokes. The Dry Media category includes Charcoal, Chalk, Crayons, and Pastels. Blenders brushes affect underlying pixels by moving and mixing them. Blenders can reproduce the effects of blending paint by applying water or oil. Blenders can be used to smooth drawing lines and create shading just like a traditional pencil sketch or charcoal drawing. There are three types of Effects brushes: Artist brushes, Image Hoses, and Pattern Pens. 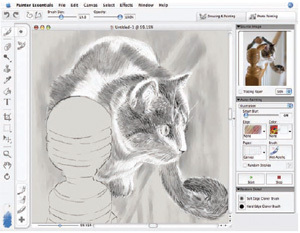 Artist brushes let users paint in the styles of master artists, such as Vincent Van Gogh (with brushstrokes that are multishaded), or Georges Seurat (with multiple dots combining to form an image). Image Hoses are special brushes that apply images, instead of color, to the canvas. The images that these brushes "paint" with come from special image files called nozzles. Each nozzle file contains multiple images. The Variable-Size Image Hose varies the size of images as you paint. The Variable-Angle Image Hose varies the angle at which the images are applied. Brushes in the Pattern Pens category apply a pattern to an image. Users can vary the size and transparency of the pattern.